There are many examples of classical integrable systems where one can treat coordinates on the phase space as free non-commuting variables. 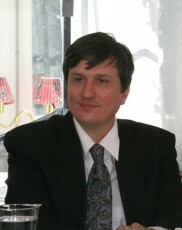 Professor Maxim Kontsevich's work concentrates on geometric aspects of mathematical physics, most notably on knot theory, quantization, and mirror symmetry. His most famous result is a formal deformation quantization that holds for any Poisson manifold. He also introduced knot invariants defined by complicated integrals analogous to Feynman integrals. In topological field theory, he introduced the moduli space of stable maps, which may be considered a mathematically rigorous formulation of the Feynman integral for topological string theory.